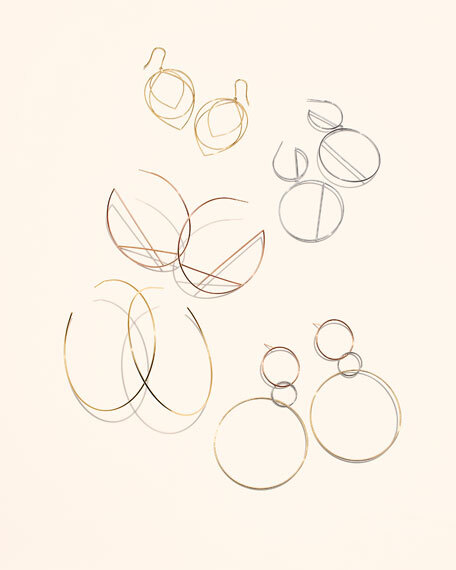 Triple hoop dangle earrings by LANA. All hoops approx. 0.04" thick. 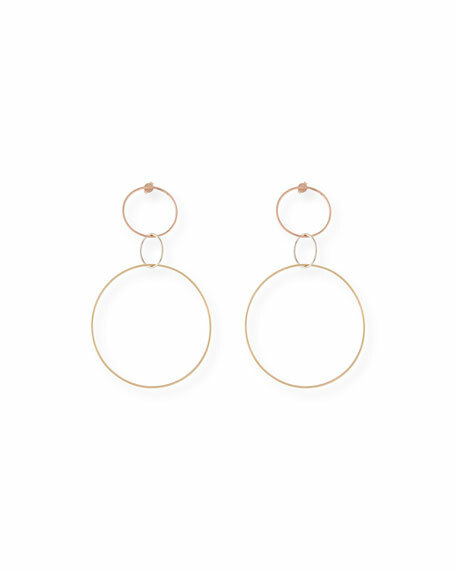 Rose gold hoop approx. 1"Dia. 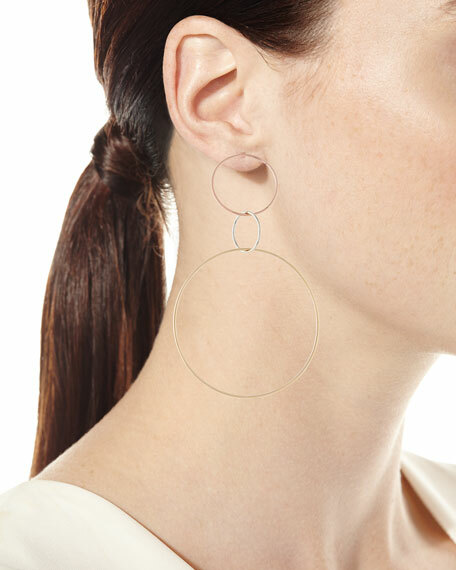 White gold hoop approx. 0.6"Dia. Yellow gold hoop approx. 2.2"Dia.